•Closed sales decreased 13.1% for detached homes, and 18.1% for attached homes. •Pending sales increased 7.6% for detached homes, and decreased 8.6% for attached homes. •Inventory increased 12.6% for detached homes, and 38.1% for attached homes. •The median sales price was up 3.1% to $615,000 for detached homes, and down 1.9% to $415,000 for attached homes. 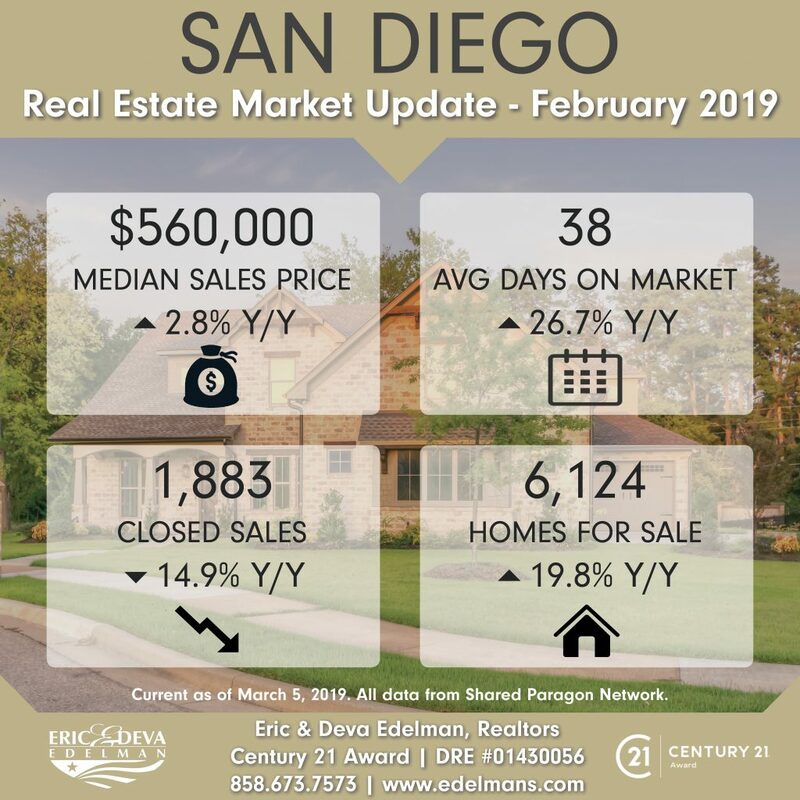 •Days on market increased 25.8% for detached homes, and 27.6% for attached homes. •Supply increased 21.1% for detached homes, and 57.1% for attached homes. *Percent changes are calculated using rounded figures. Current as of March 5, 2019. All data from Shared Paragon Network.